WASHINGTON — An Indonesian accused of ties to extremist groups and held for nearly 10 years at the U.S. military prison at Guantanamo Bay, Cuba, appeared for the first time Thursday at a hearing called to determine whether he should remain in detention. The U.S. government says the detainee — Encep Nurjaman, who's known as Hambali — was a leader of a Southeast Asia-based extremist group known as Jemaah Islamiyah. The group is blamed for a string of bombings in Indonesia, including the 2002 bombings in Bali that killed 202 people. 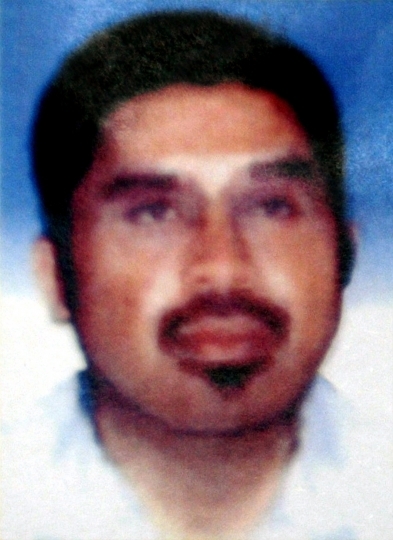 Hambali also is alleged to have had links to al-Qaida. Hambali, 52, has been held at Guantanamo since September 2006 and had not been seen publicly there until Thursday's review panel hearing. Wearing horn-rimmed eyeglasses and a mostly gray beard, Hambali showed no expression during the unclassified portion of the Periodic Review Board hearing, which lasted about 10 minutes. He did not speak. A live video feed of the unclassified proceedings was made available to reporters and other accredited observers at the Pentagon under ground rules that prohibited audio recording and photography. An American miltary officer acting as Hambali's personal representative read a statement describing Hambali as "respectful and energetic" and "most enthused" about his hearing. "Hambali has stated he has no ill will towards the U.S.," the officer said in the statement. "He believes America has diversity and sharing of power which is much better than a dictatorship. He states that he wants nothing more than to move on with his life and be peaceful." The U.S. government's statement, also read at the hearing, characterized Hambali as a continuing security threat, calling him "steadfast in his support for extremist causes and his hatred for the U.S. He most likely would look for ways to reconnect with his Indonesian and Malaysian cohorts or attract a new set of followers" if he were released from Guantanamo. There are now 61 detainees at Guantanamo, including Hambali. The government statement said Hambali seems to exert influence over his fellow detainees and "has been heard promoting violent jihad while leading daily prayers and lectures." The review panel, whose members are officials from the Pentagon and other government agencies, issued no decision on Hambali's status.